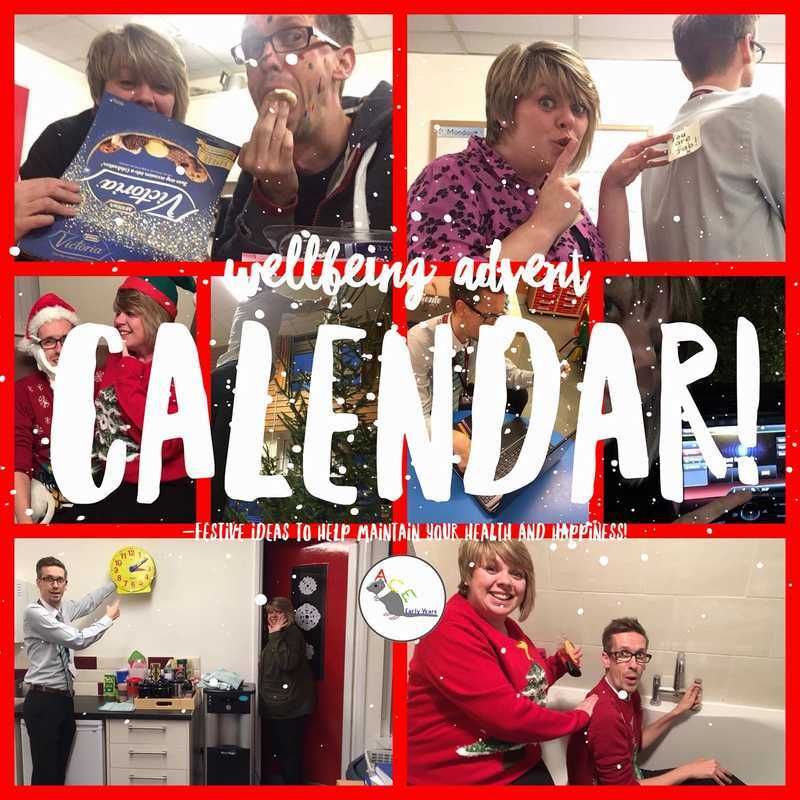 Check out our ideas for taking care of your wellbeing this Advent. We made the calendar in 2017 so some of the activities might not match up to the day or the weekend. Hopefully you'll enjoy them anyway! 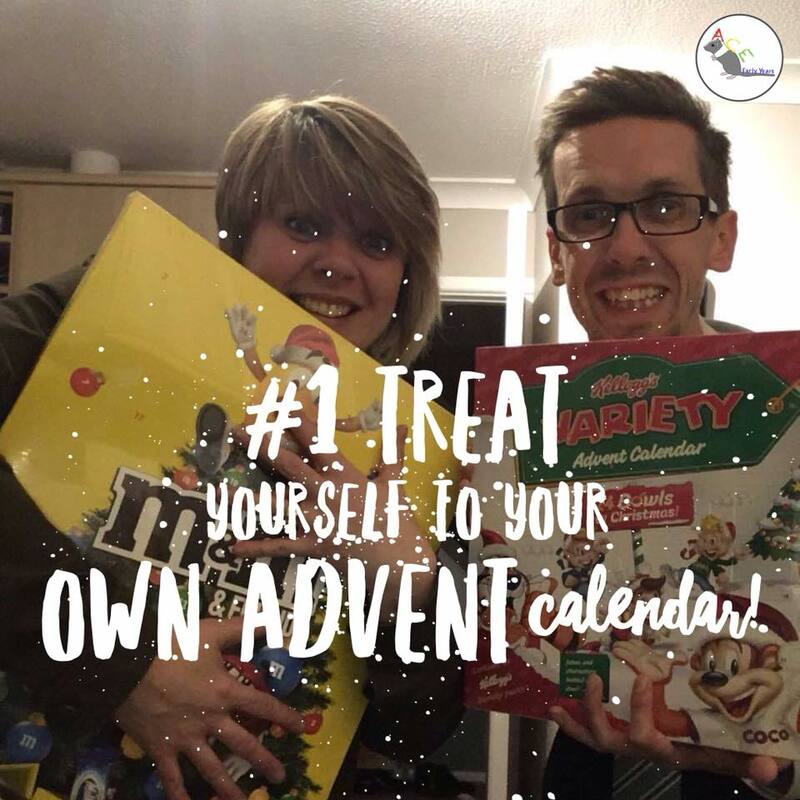 Treat yourself to your very own advent calendar- let’s count up to that special day- no sharing it’s all for you! 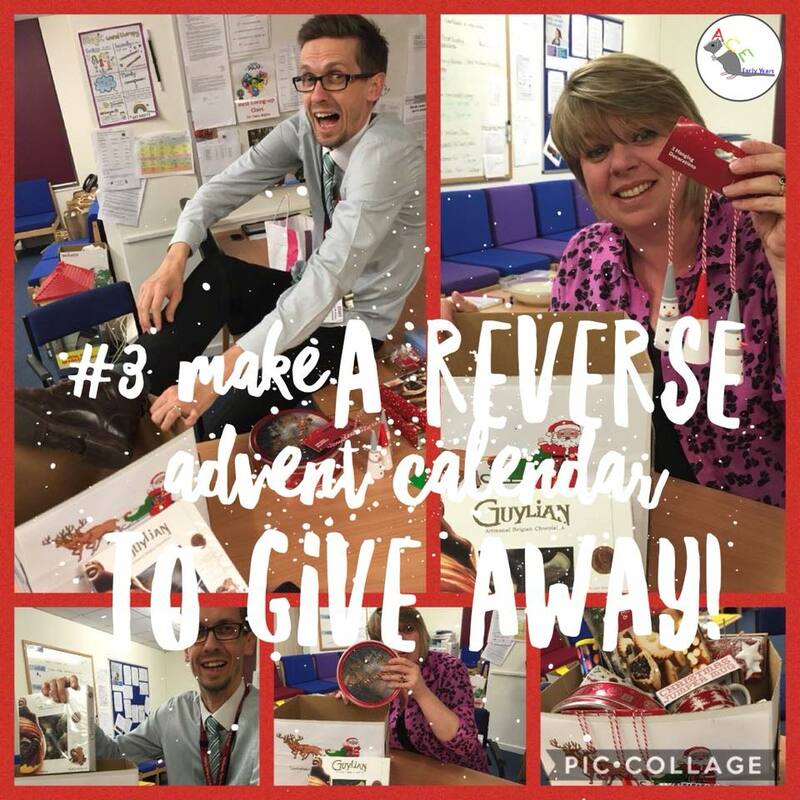 Wellbeing Advent #3 - Make a reverse advent hamper. Get your staff/Family onboard and ask for donations of treats to make a hamper. Each day a gift is added and at the end you will have a wonderful gift to either auction/raffle to raise funds for a chosen charity or donate to a local family in need. Giving is caring and will make your happiness levels rise! 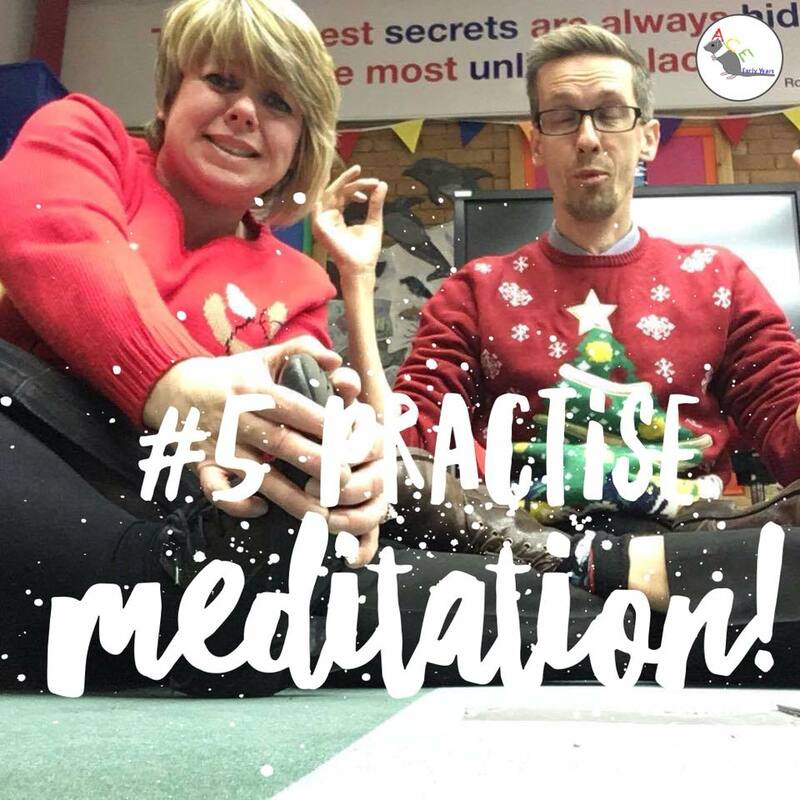 Wellbeing Advent #5 – Practise Meditation! Meditation can help your brain secrete endorphins that help elevate mood! Endorphins can help reduce stress, therefore helping to maintain a positive work/life balance! Meditation can help enhance your focus and can also improve sleep or it can give you a giggle trying to strike a suitable pose like Anita?!? Decorate your classroom/house maybe even tinsel bomb the staffroom! It’s good for your soul and will set you in the mood for festive cheer ( unless you are Anita, she’s allergic to real trees!) but artificial will do too! Permission to decorate is.....granted! 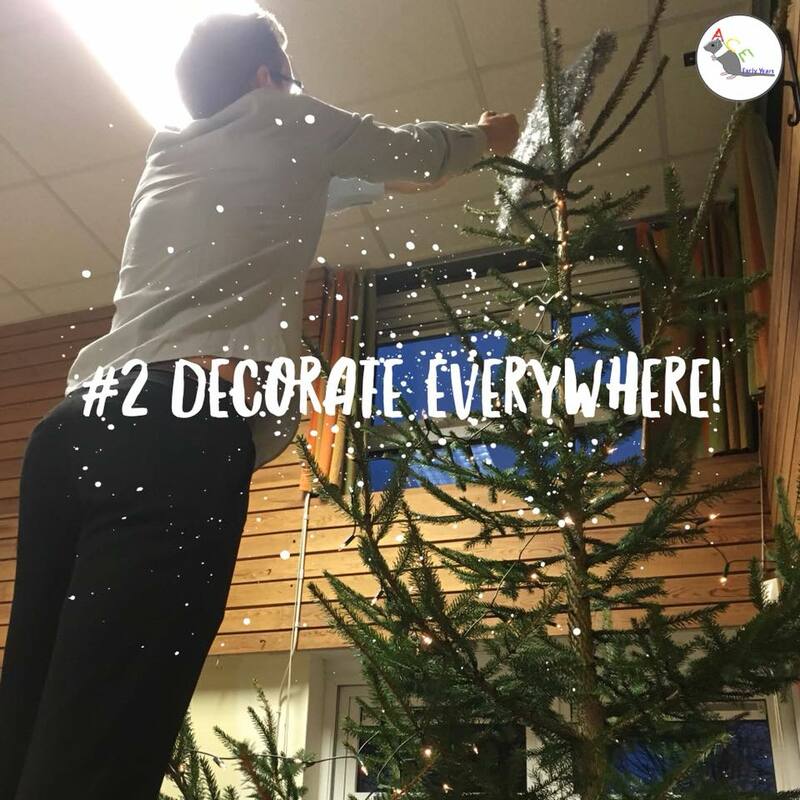 You can send your better half, teenage kids or even brave it yourself for the annual climb into the loft/attic to retrieve all those wonderful decorations lovingly stored away! Get in the mood by popping on some festive tunes and open up that box of mince pies whilst you transform your house or workplace into either a full on neon, all lights flashing, cuddly toy dancing and singing grotto or stylish, coordinated show home! This tip always makes us smile and sets the month up nicely! 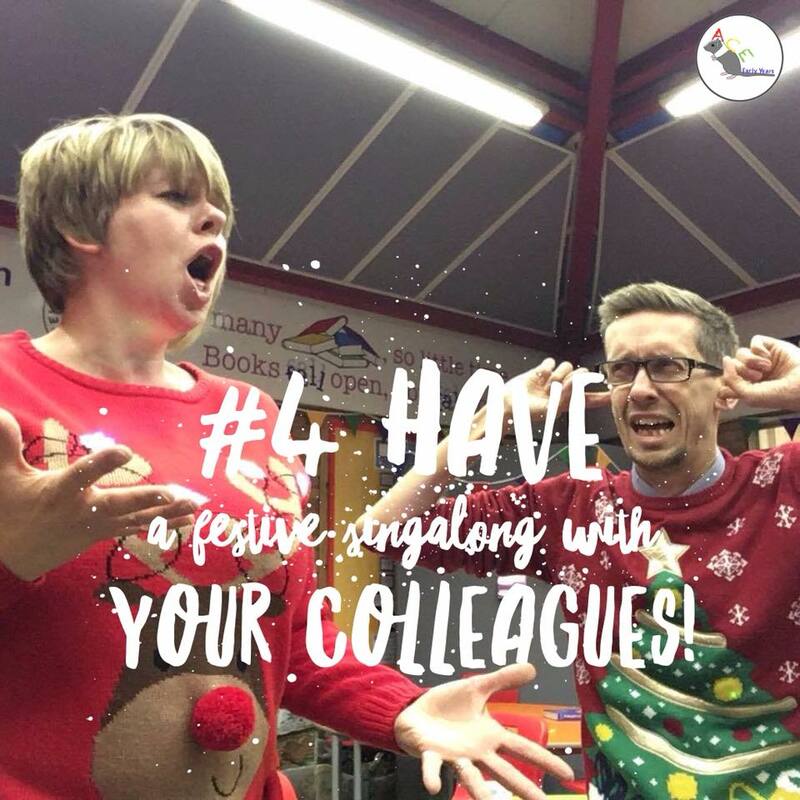 Wellbeing Advent #4 You’re gonna love this one.....Have a festive sing-a-long with your colleagues! ​Chances are, at this time of the year, you spend more of your waking hours with your colleagues than with your family and friends. So in order to maintain your happiness at work, why not invest in your relationships with your colleagues?! Not only is singing an aerobic activity that increases oxygen in your blood stream and exercises different muscle groups, it also has psychological benefits too! Sing your hearts together - even if it does sound rather dodgy! Ear plugs optional! 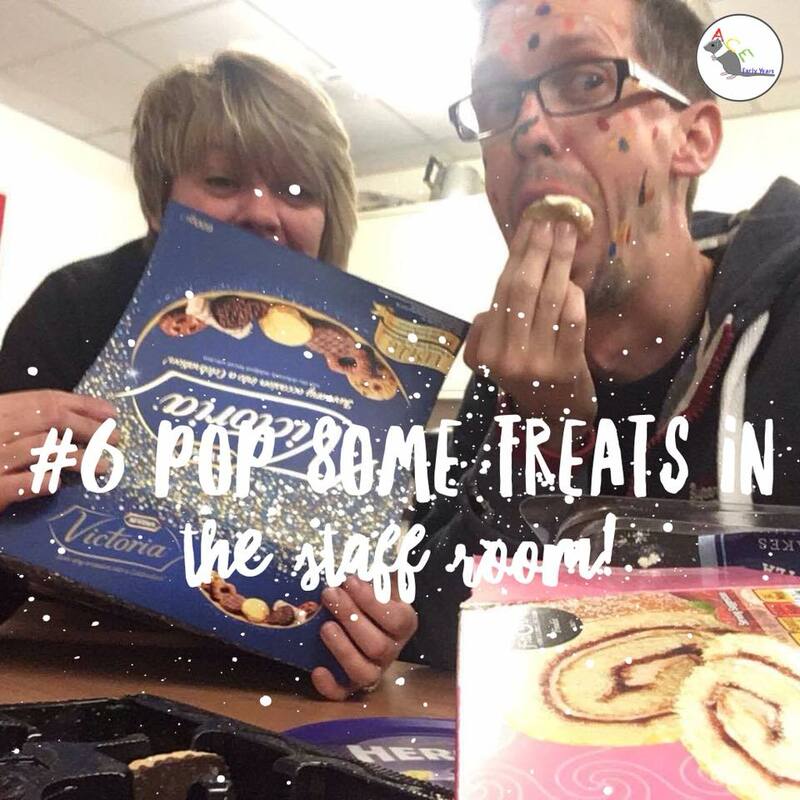 Wellbeing Advent #6– Pop some treats in the staff room! Antioxidants found in chocolate can boost blood flow to the brain, improving memory and attention span! But it doesn’t have to be ‘unhealthy’ snacks! Why not try some blueberries, cranberries or nuts? Seeing a little treat appear in the staff room is exactly what people need to raise their happiness levels, thereby raising your own! 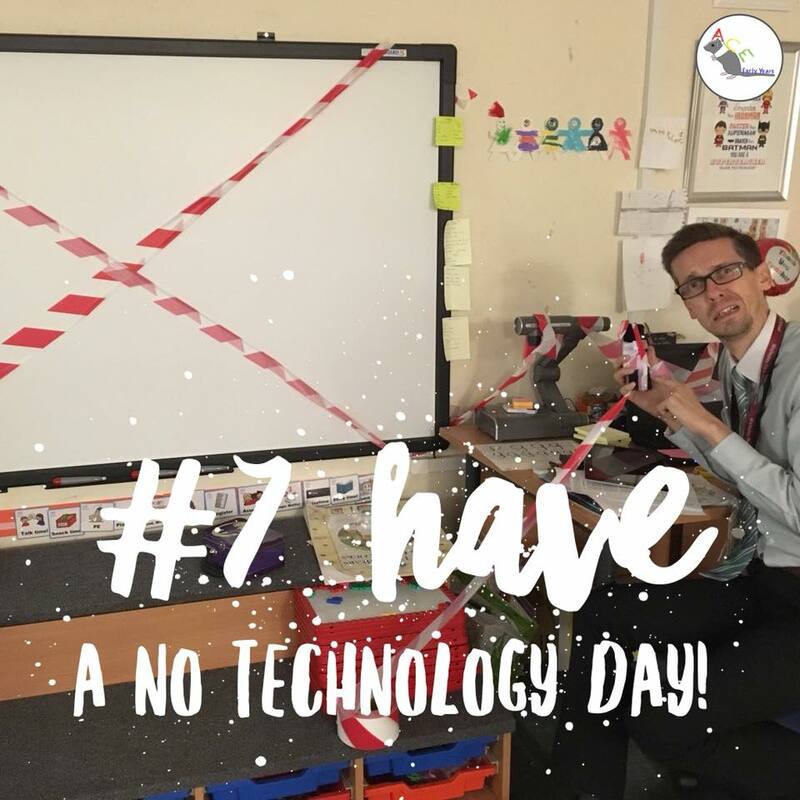 Wellbeing Advent #7- No Technology Day! 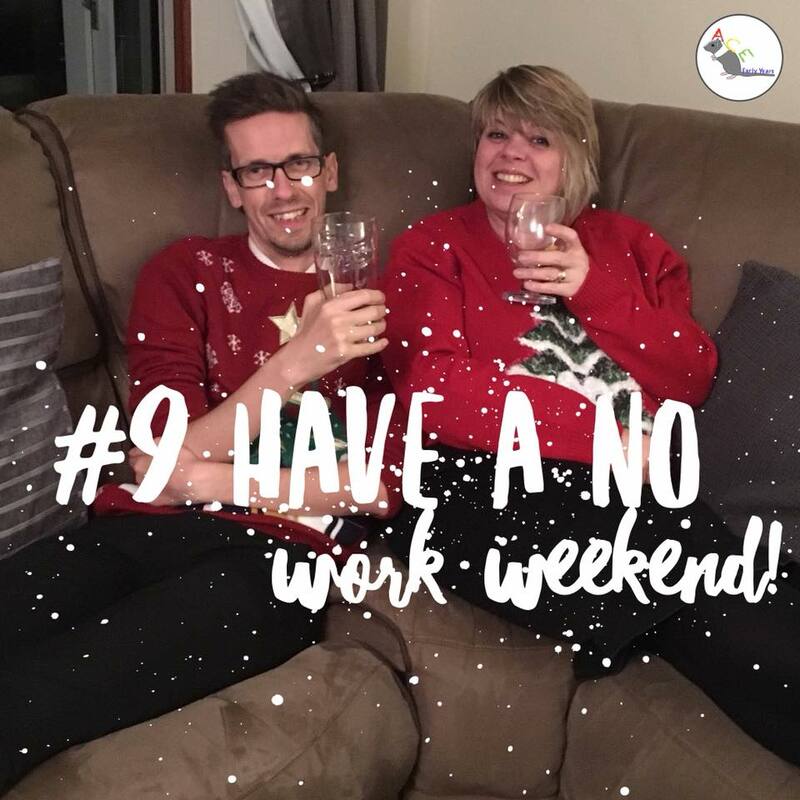 Wellbeing Advent #9 - Have a NO work weekend- yes it is possible! Make plans and write lists to help organise your workload throughout the week that will allow you an all important work free weekend! 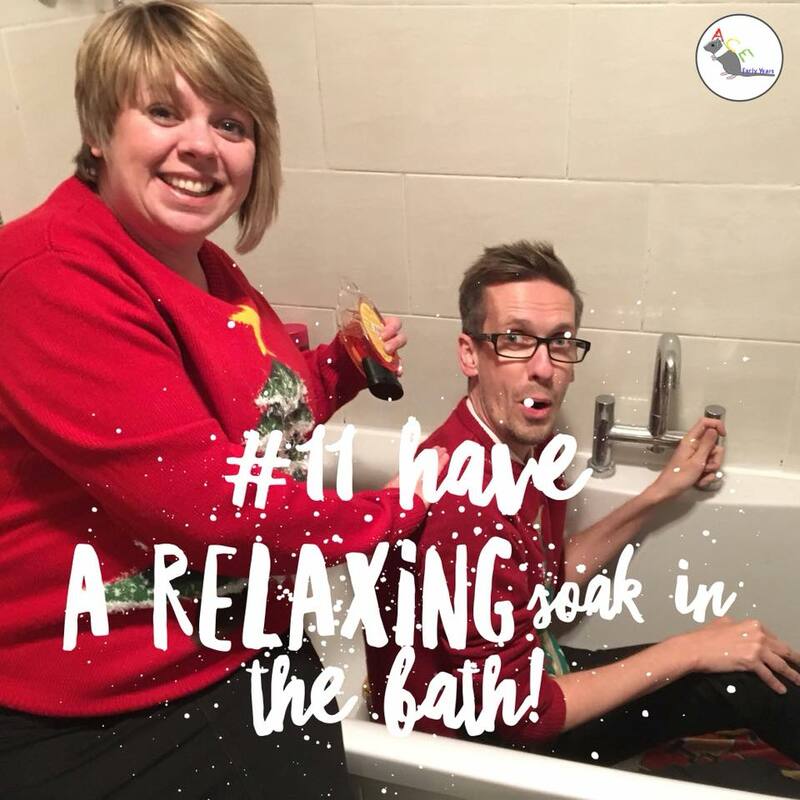 Wellbeing Advent #11– after a Monday at work or sledging on a snow day, treat yourself to a relaxing soak in the bath! Making time for yourself has psychological and physical benefits. Take that time for yourself and you will feel refreshed and happier! It can reduce stress and raise mental wellbeing and self-esteem! 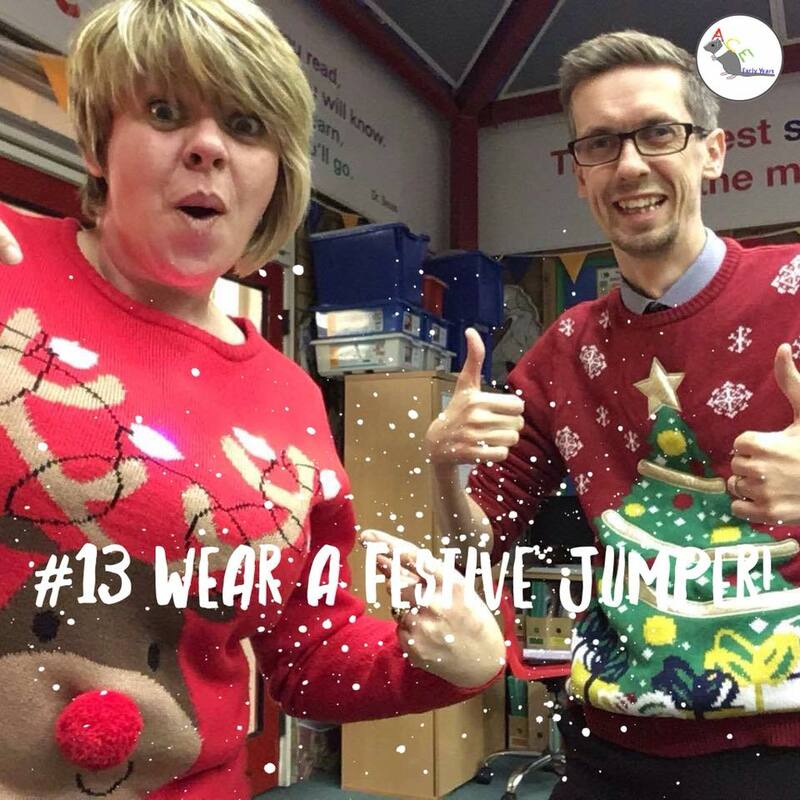 #13 – Wear your festive jumpers! 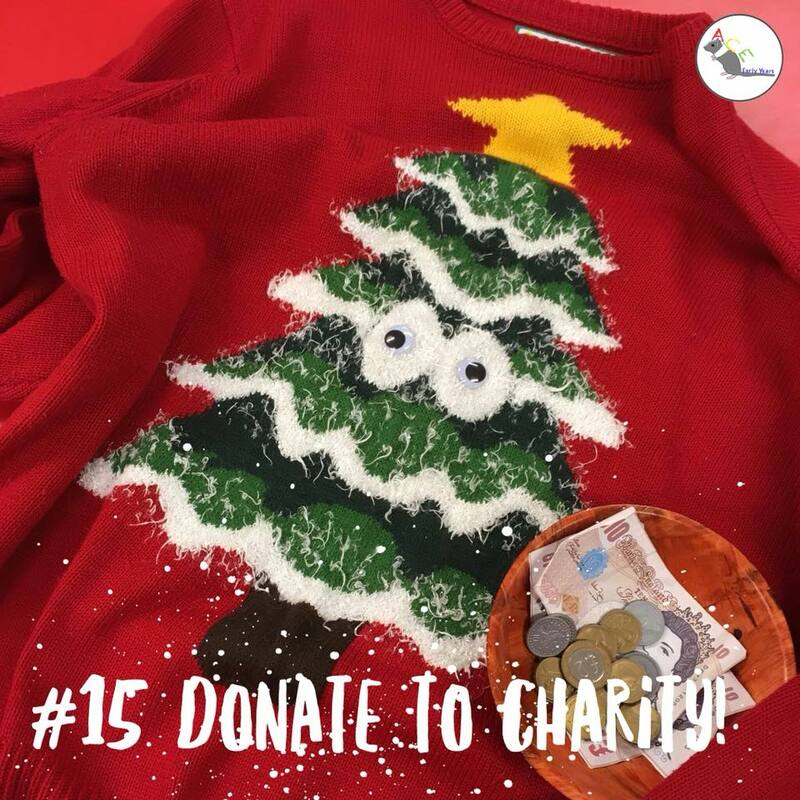 Who doesn’t love donning a festive jumper and spreading a little happiness?! We love to dress up and sprinkle some festive cheer amongst our colleagues and families. Why not take part in the 15th December ‘Christmas jumper day’ and raise money for Save the Children or even have festive jumper week? Wellbeing Advent #15– We’ve mentioned that being kind can be good for you, physically and mentally, and of course giving to charity can help change the lives of other people. Donating to charity can activate the pleasure centers of your brain too so it makes you feel good! This in turn lowers levels of depression and can increase your feeling of satisfaction! Studies have shown that volunteering can also help you live longer so why not get actively involved in supporting a charity near you? 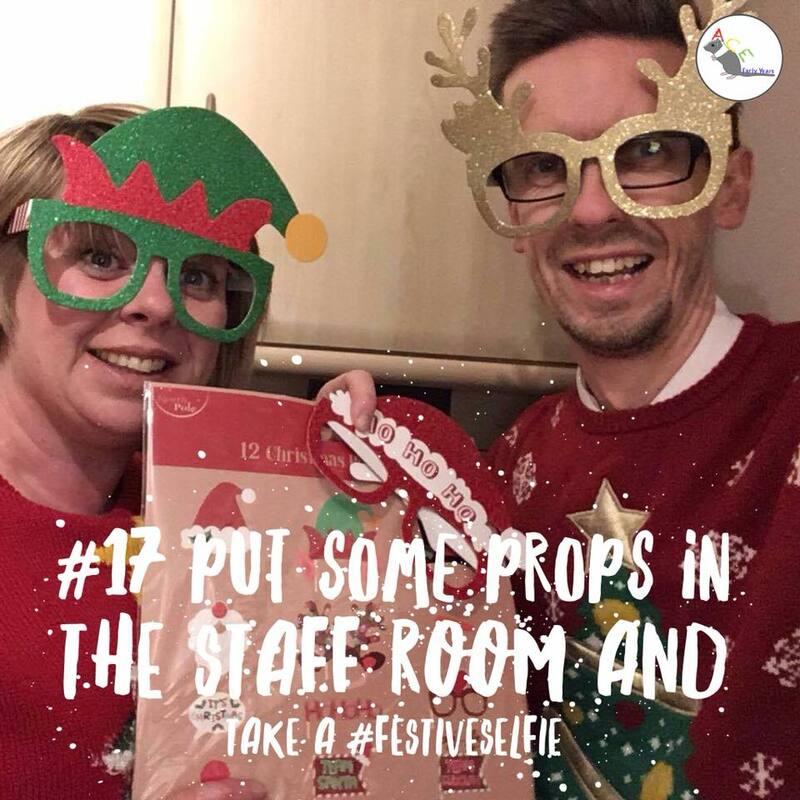 Wellbeing Advent #17 – festive selfies!!! Laughing is good for you! It boosts the immune system, decreases stress hormones, increases immune cells and antibodies and triggers the release of endorphins (feel-good chemicals)! So grab some Christmas selfie props and have a laugh! 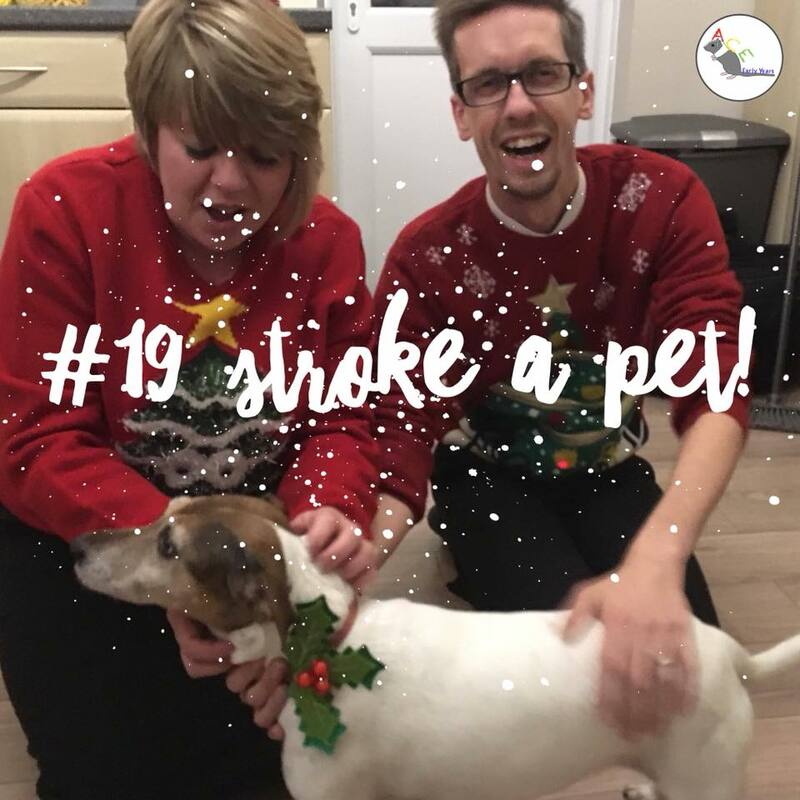 Wellbeing Advent #19 - Stroke a pet! Research has shown that one of the most effective ways to unwind is to spend time with a pet! Pet owners have demonstrated that spending time with their pet leaves them feeling more relaxed, more optimistic and less preoccupied with everyday worries! Studies have shown that playing with a cat or dog can elevate the levels of serotonin and dopamine, which calm and relax the body! So if you don’t have a pet, borrow one! Thank you to Anita’s pet Jack Russell, Poppy for the photo shoot! 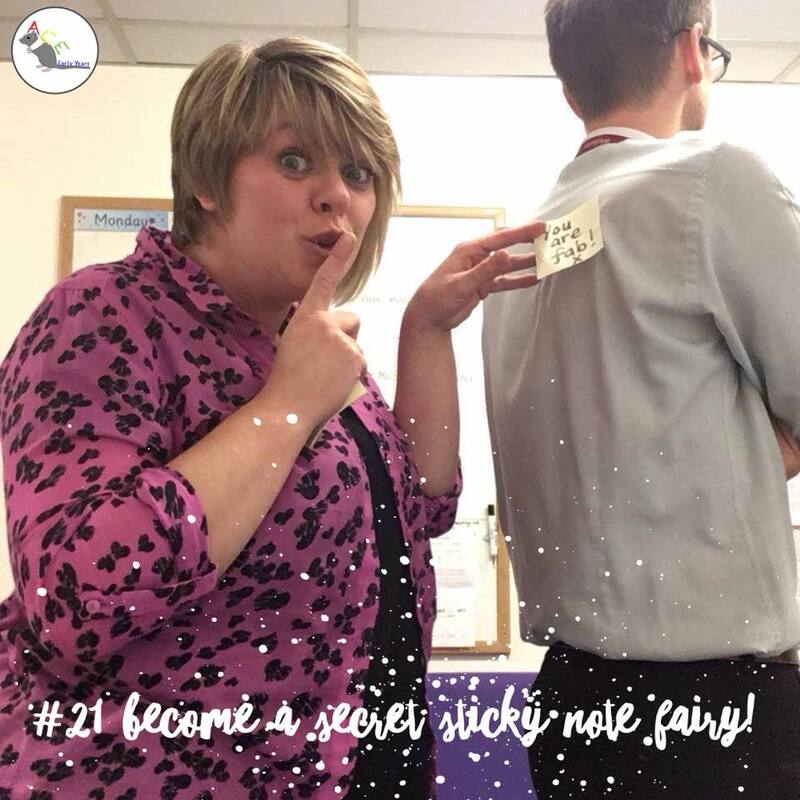 Wellbeing Advent #21 - Sticky-note fairy! As we keep mentioning being kind to others can have positive benefits on you physically and mentally. So become the secret ‘Sticky Note Fairy’ and start paying those compliments, safe in the knowledge that you’re making others feel better too! Win, win! 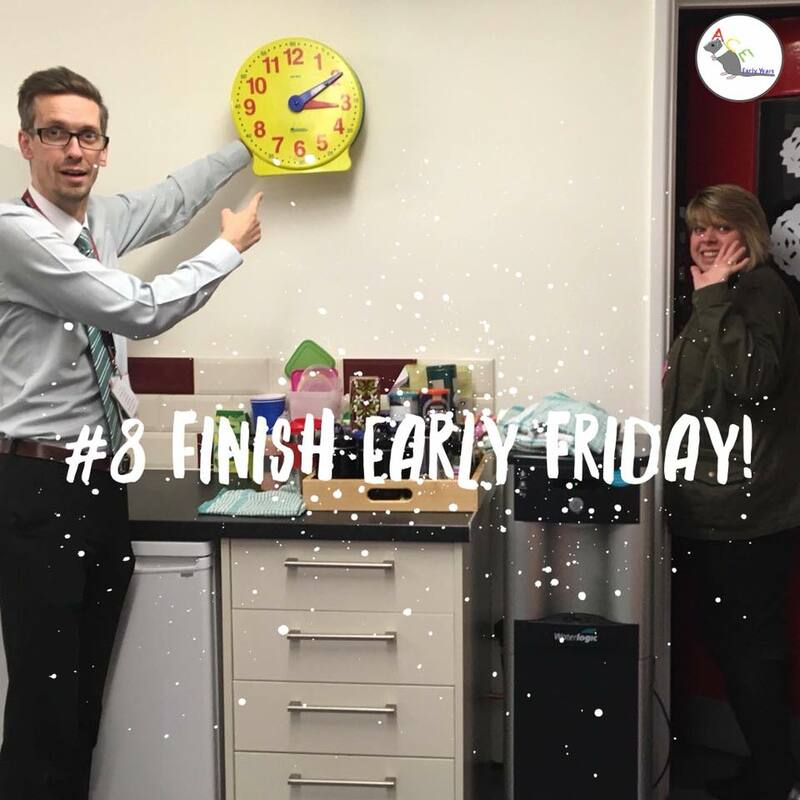 Wellbeing Advent #8- Finish Early on a Friday! Get your weekend off to a flying start and down tools early, well after the children have gone! Having some well deserved ‘me’ time is a must. Get home early and spend time with your family, partner or just enjoy treating yourself to a relaxing start to the weekend. Doing good for others can have a powerful, positive effect on the immune system. It can help improve self-esteem and self-worth. It can help ensure you do not feel isolated from others, helping you to meet new people and step outside your comfort zone. Studies have shown that kindness helps relieve stress too! 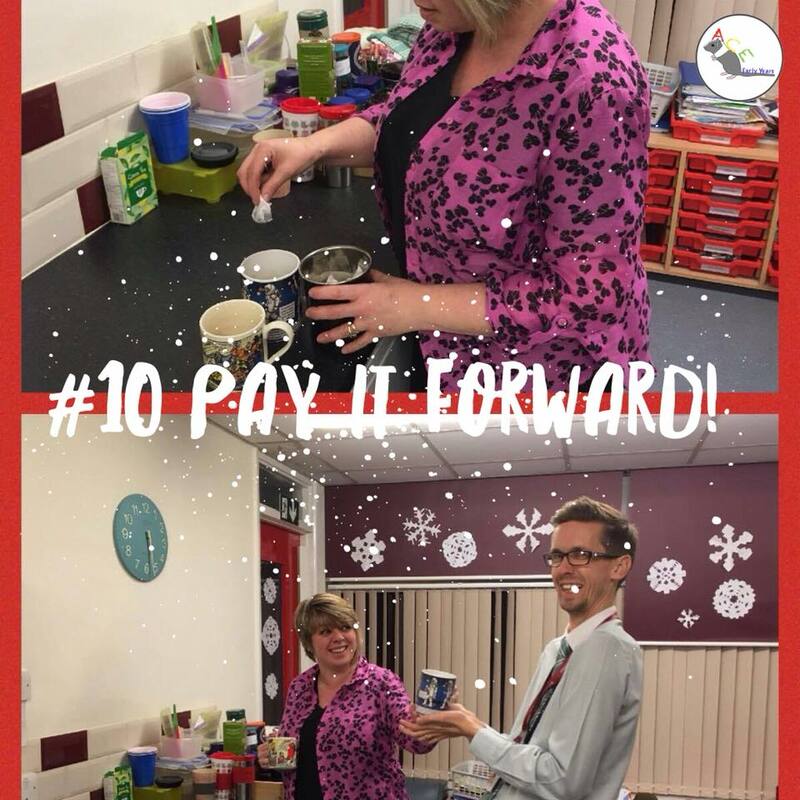 Mark loves a cup of tea so Anita has paid it forward and made him one! Wellbeing Advent #12 - Fit2Teach. 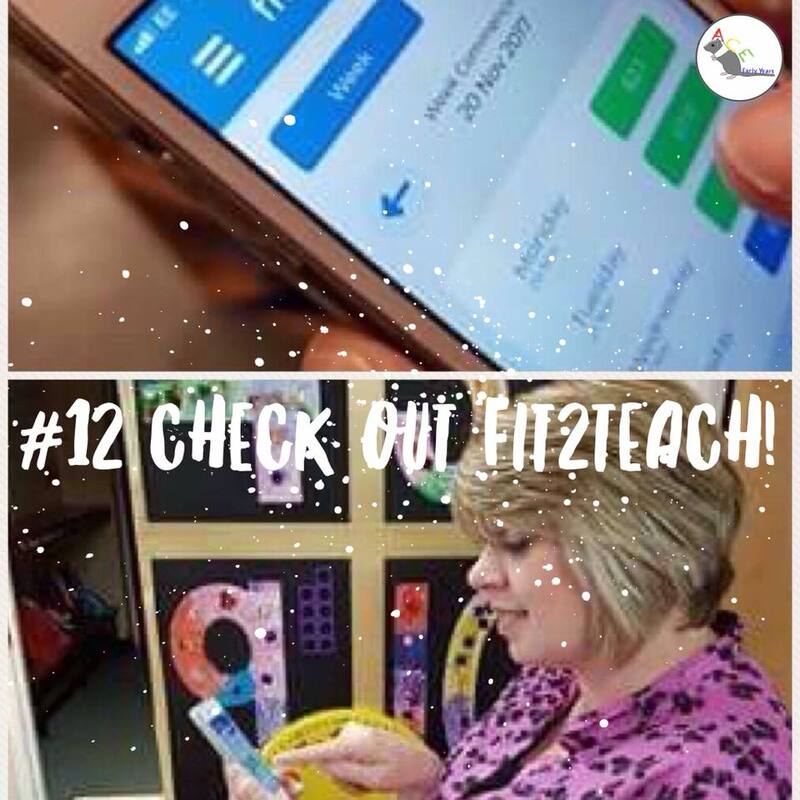 Check out the Fit2Teach app for ideas on keeping your work life and home life in balance! 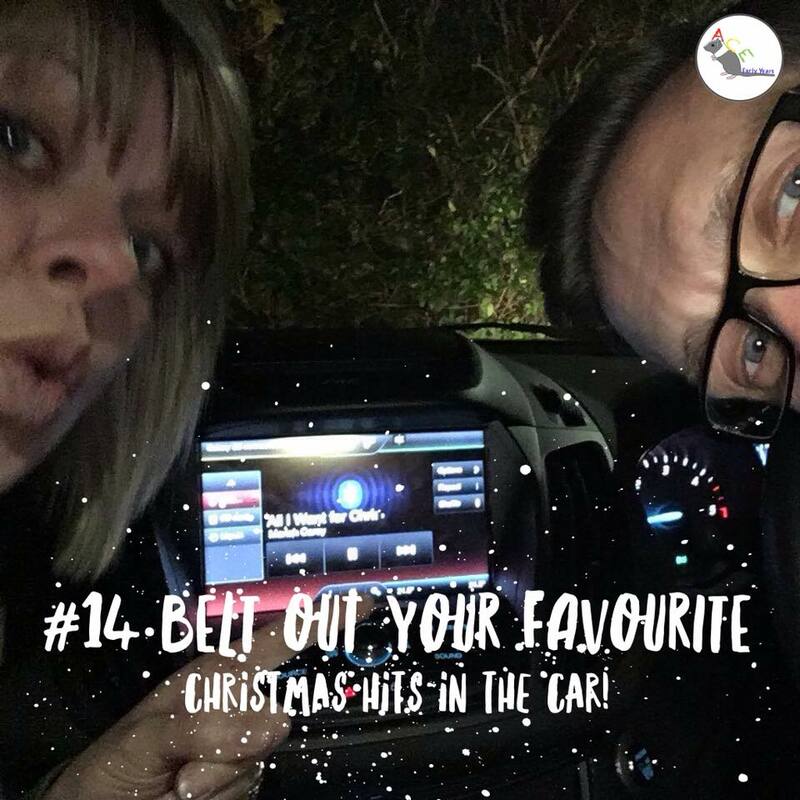 Wellbeing Advent #14 – Belt out your favourite xmas tunes in the car! We’ve mentioned some of the benefits of singing but did you know it can help you live longer?! Being part of a choir can promote a healthy heart and enhanced mental state. It can raise your immune system as well! So belt out those tunes in the car or shower or why not start a work choir?! 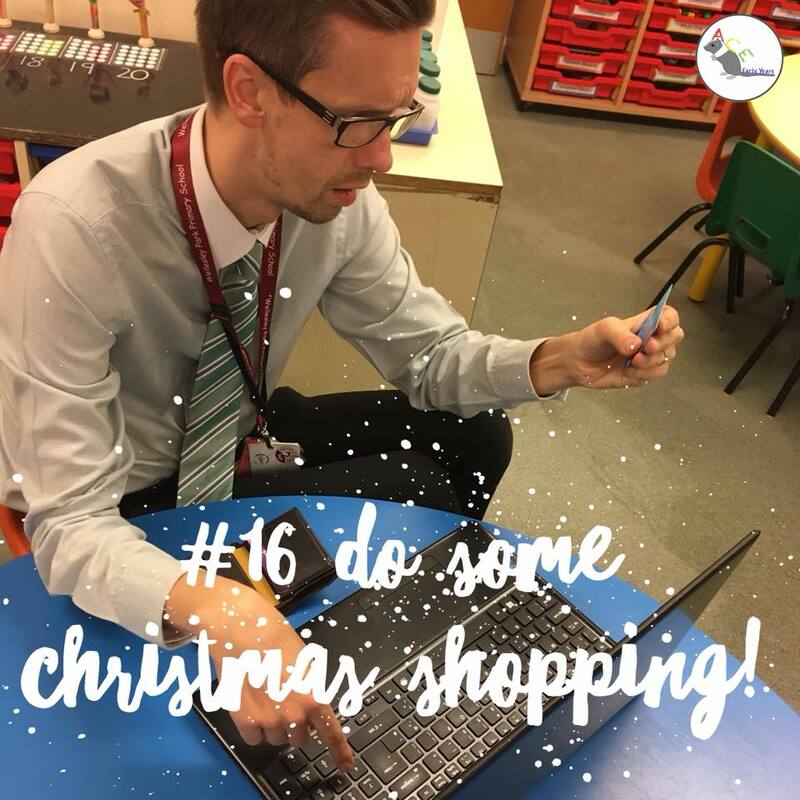 Wellbeing Advent #16 – Retail Therapy! For many shopping is great for your wellbeing because it takes your mind off things, boosts confidence (when you accidentally buy something for yourself…) and can be a great social experience. However, Christmas shopping can be stressful too. Too many people! Do I have enough? Will they like this? So make a list and stick to it or go online instead! 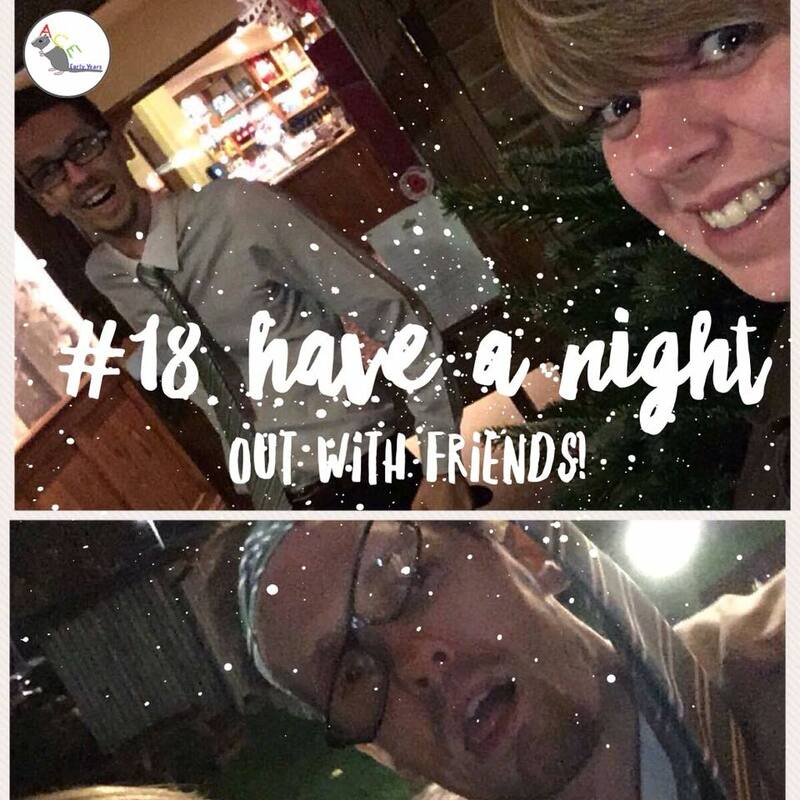 ​Wellbeing Advent #18 – A night out with your colleagues or friends! We’ve already mentioned that having good working relationships is vital for your wellbeing at work. A night out can help reduce your stress levels and help you relax. It gives you a chance to bond and share experiences with your colleagues, which is perfect for maintaining your mental health, and also helps your working relationships because you will feel more able to depend on them. Wellbeing Advent #20 – There is evidence that during gift-giving, your brain secretes serotonin (to regulate moods), dopamine (to make you feel good) and oxytocin (a compassion and bonding chemical)! So why not organise a Secret Santa and get excited about giving! P.S. The photo shows Mark choosing his Secret Santa! He’s very excited to see his gift opened! Go visit Father Christmas! Because Christmas isn't just for children. Hope you’ve all been good this year! 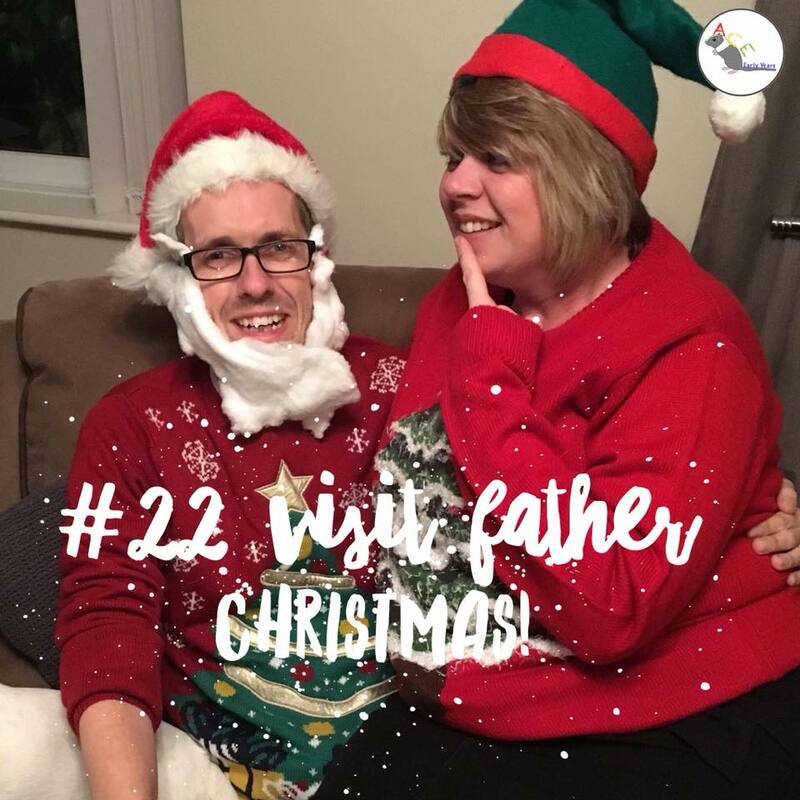 This is our last advent post as the rest is all about spending quality time with your family and friends! We’ve thoroughly enjoyed making the advent wellbeing posts and hope it’s helped you through one of the busiest yet exciting months of the year! We'd love to see photos of you taking care of your wellbeing this Advent!